Written by Alex Frison on November 15, 2018 Blog. Buyers today can choose products from nearly any place in the world, but language barriers still introduce friction into the online shopping experience. One solution to this problem is a multilingual eCommerce store, where vendors can sell their products on the international market. But how do you create a multilingual eCommerce store, and which eCommerce platform is the right one to build it on? Many eCommerce systems out there may offer multilingual functionality, but WooCommerce is a robust platform with built-in advantages for anyone wishing to build a smooth multilingual experience for their customers. WordPress websites aren’t multilingual by default – you’d typically need a plugin to enable multiple languages in your online store (some popular options include WPML and Polylang). We’ll focus on MultilingualPress, which offers an innovative way to introduce multilingualism to your site without requiring extra work or hassle. 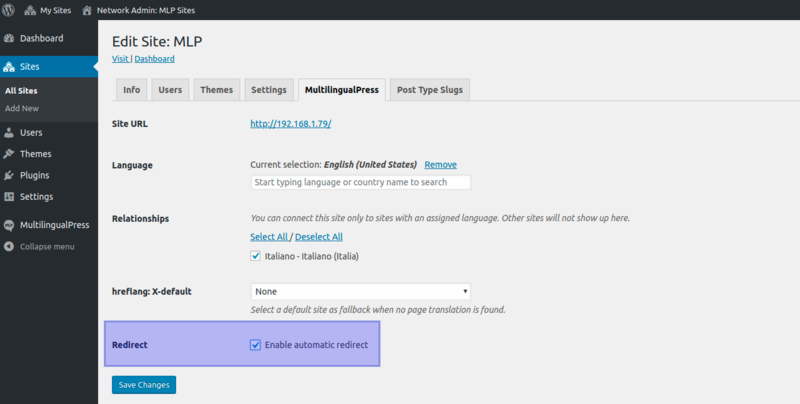 MultilingualPress uses Multisite, a core WordPress feature, to enable multiple languages. A multisite integrates several independently linked websites in one WordPress installation. MultilingualPress leverages this feature by treating each individual website in a multisite as a language-specific version, linked to all the others on the same installation. MultilingualPress also connects the posts, pages, and products on each language site with the corresponding posts and pages on other language sites. This means that your English blog post on your upcoming holiday sale will be linked to its Spanish, French, and Arabic counterparts (if you publish in those languages, of course). The multisite approach comes with several distinct benefits. Let’s take a closer look. Great Performance. With MultilingualPress, each language site loads a single language – no other languages, plugins, or code. When a visitor looks at your German site, they won’t be slowed down by loading your Polish and Hebrew versions. If your WooCommerce shop needs to scale, MultilingualPress is an effective and performance-focused solution. Endless Flexibility. No two languages are the same – and the same eCommerce site might need to be different across languages. Luckily, each language version in your multisite offers flexible design and functionality. You can add language-specific features to each version. For example, you might need a plugin for legal security on your German site which your Urdu visitors wouldn’t care about. No worries – from branding to functionality, you can customize each language’s site as you wish, or leave them identical. It’s your call. Core Feature. Multisite is a core feature on WordPress, not a workaround. Any plugin or feature that works in a multisite setup will also work on your multilingual store. Better SEO. Search engines reward well-performing websites with better search rankings, and your MultilingualPress site delivers on that front. You can also optimize and customize specific elements on each language’s website to boost its individual SEO. Great Usability. You can duplicate pages and posts — including all settings — within your network. 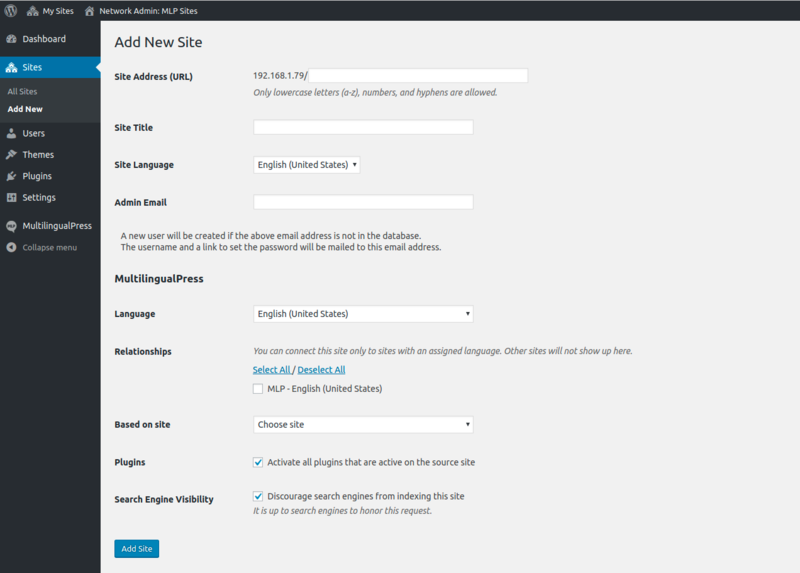 With MultilingualPress, you can even duplicate whole sites within your multisite installation. No Lock-in Effect. All of your various language sites will remain unchanged in the event that you uninstall MultilingualPress. This is because you created different websites which can each run autonomously. State of the Art Code. MultilingualPress is built on PHP 7, making it faster and future-proof. Translation Service. The TranslationMANAGER Plugin by Inpsyde and Eurotext is a WordPress extension. Once you have installed it, you can order paid professional translations for more than 50 languages. All translations are provided exclusively by native-speaking experts. The whole translation process takes place in the WordPress back-end, so there’s no time wasted on copy-and-paste. Instead, it provides a smooth and intuitive workflow. In short, MultilingualPress creates versions of your website that work independently – each in its own language – but still visibly connected for website visitors. On a technical level, too, MultilingualPress offers a clean, elegant solution for multilingual eCommerce stores. You can configure each store individually to work with its own currency, shipping methods, and payment methods. 5. Create the language sites within the multisite network. 6. 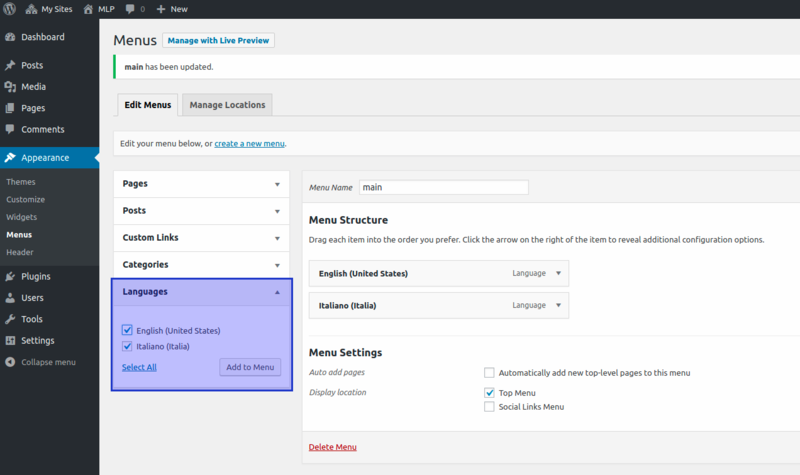 Add your individual language page and WooCommerce settings. Detailed documentation is available for each step on the list; for now, let’s focus on how to create the WordPress multisite and navigate the basic functionalities of MultilingualPress. Next, go to Tools and then choose Network Setup. If you’re a visual learner, check out this video on how to create a WordPress multisite network in about three minutes. 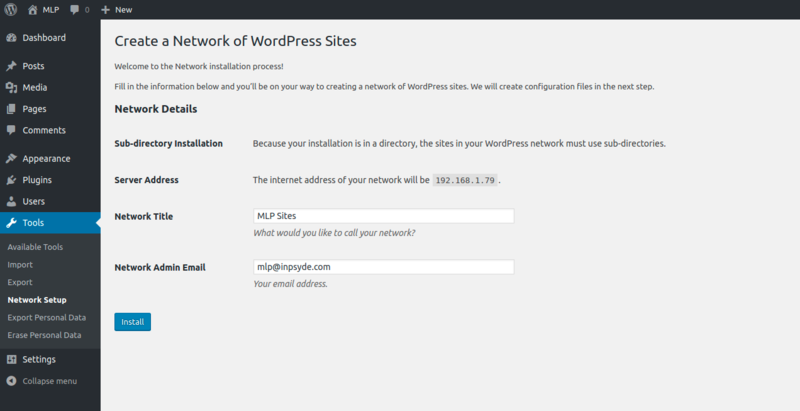 Now, let’s take a closer look at the WordPress multisite. Within the multisite network, you’ll have the Super Admin role. A Super Admin manages the network and can create new sites, assign users to sites, and decide which plugins and themes to enable on each site in the network. As you can see in the left column, the Super Admin can edit five tabs: Sites, Users, Themes, Plugins, and Settings. 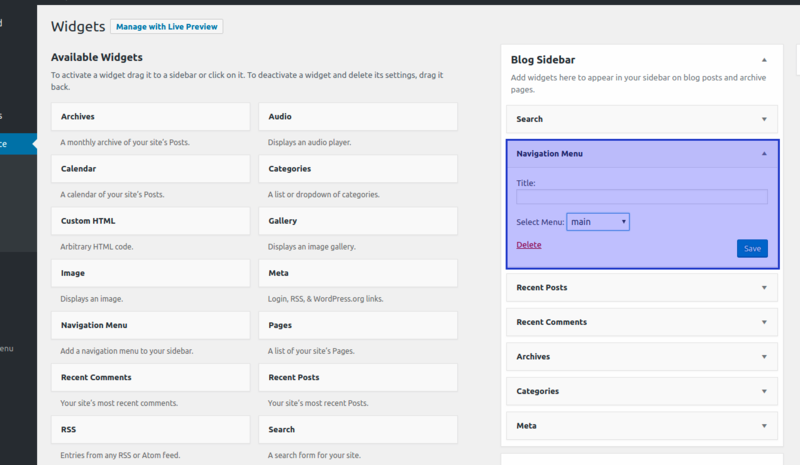 The Super Admin can assign users for each individual site, enable themes, and configure settings. In the Sites tab you can add new sites. Create a site for each desired language. This is where you can set the site’s language. Now comes the crucial step where you link the different sites within your multisite network to each other. For detailed instructions, please check out the plugin developer’s documentation. The next step isn’t mandatory, but still recommended. To enable automatic redirection, you’ll first need to configure the automatic language redirection in MultilingualPress. Go to My Sites → Network Admin → Settings, and check the Redirect checkbox in the Modules tab. You’ll want to check the Redirect checkbox on each of your sites. This is also the step where you decide how your website visitors will switch between languages on your connected websites. Do you want to list the languages in a separate header menu? Show the available options in your website’s sidebar? To do this: first enable the language meta box, which you’ll find in Screen Options in the top-right corner of your site. You’ll need to check the relevant box. Finally, you need to link pages and posts to each other so that visitors can switch from one language version to another, regardless of where they are on your website. To do this, go into the back-end of a page or post and scroll down. This is where you’ll find additional editors — or at least one — as each language in your multisite network comes with its own editor. In this screenshot, you can see the German and French editors – each editor has several tabs. The screenshot above shows the Relationship tab, where you can define each post’s relationship to other posts (the same process also applies to pages). The other tabs in the editor offer other opportunities to better link content across sites. For example: you can copy the post title and content to the remote post. You can then edit the content on the other language’s site. MultilingualPress connects WooCommerce products, including product title, content, excerpt, and featured image. You’ll need to manage other types of information, like prices, manually on each site. Currently, you cannot synchronize stock information between sites. If you have a single warehouse but want to sell on a multilingual eCommerce store, bear in mind that stock may not be displayed correctly at all times unless you use an additional inventory management system. An additional plugin solution is coming very soon, and is already in beta testing! Shopping carts also don’t synchronize automatically across language sites – nor do articles, media, or users. The developers behind MultilingualPress are well aware of these limitations, and are working toward a solution in the future. Even with these current limitations, MultilingualPress is a technically clean and efficient way to create a powerful multilingual online store with ease – especially for anyone who cares about scalability. A multilingual WooCommerce shop with this plugin will grow with your business, as you expand your reach deeper and farther into international markets. We trust this introduction to multilingual eCommerce on WordPress has been helpful. If you have any questions or learnings to share about your own experience selling in your customers’ different languages, then we’d love to hear from you in the comments. 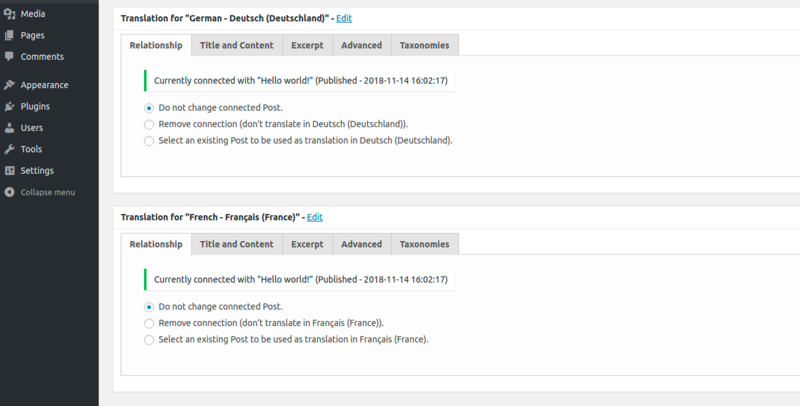 Thanks for introducing Multilingualism with WordPress. It would be very helpful for international targeting. Awesome, very easy solution to be applied, Will try it on my online store jodyshop.com. Nice work, I will deferentially use the same. With Woocommerce, Setting up your own online store in multiple languages will be no more painful. This is actually what we have just been planning. Great article and thank you for writing it! Hey! I wanted to ask whether if installing multi languages in current website put any impact on the current submission? I mean will it hurt any data on the website? you just have to convert your current website to multisite (do a backup first!) and then you can add additional languages to your multisite and it doesn’t impact your current data. You also have to check if all your plugins are working on multisite, which should be the case except they are not well written.